In August 2017, genre defining Grime MC Skepta collaborated with Nike to launch his own Air Max Trainer. Based on the legendary Air Max 97 the design was inspired by his trips to Morocco using the colour palette of the African city with the cult design of the AM97. The day before the launch Skepta drove around London delivering box fresh SkAir’s to his crew in Tottenham, collaborators and friends. The pride shown by Skepta and returned by his closest friends and family was a joy to witness. Over the following two days Nike turned a network of railway arches in to a Moroccan souk with a mix of fabrics, arabic style tiled wallpaper and incredible lighting. 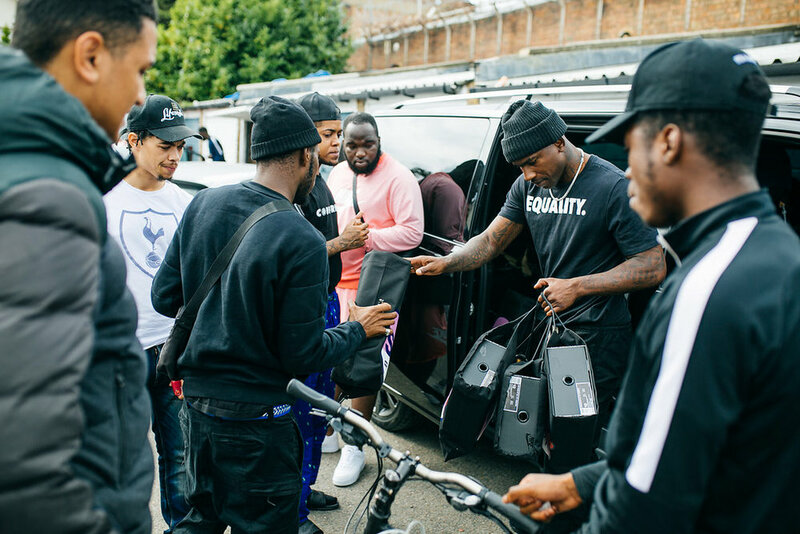 Vendors were hand chosen by Skepta for having a close personal relationship with him, from vegan food outlet Cook Daily to his local barber Hollywood John. On a stage rigged up on the back of a truck there were performances from his Boy Better Know crew, Stefflon Don. 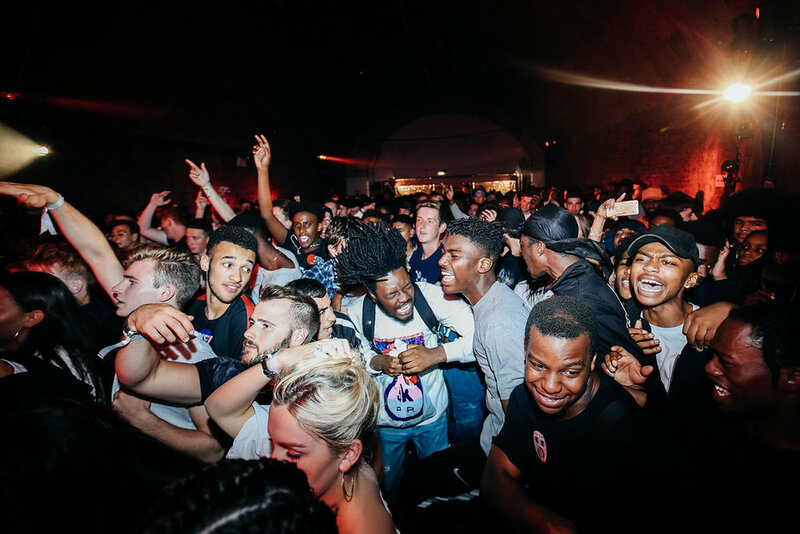 J Hus, D Double E and more. Faces from the world of fashion, music and film partied with winners of a Nike ticket lottery and were given exclusive merchandise on the night.